The men who came to be known as the seven deacons of the apostolic church were chosen and ordained to attend to the business of the church. (See Acts 6:1-8.) Their qualifications, slightly less exacting than those of elders, are listed in 1 Timothy 3:8-13. “The fact that these brethren had been ordained for the special work of looking after the needs of the poor did not exclude them from teaching the faith. On the contrary, they were fully qualified to instruct others in the truth, and they engaged in the work with great earnestness and success.”— AA 90. “The appointment of the seven to take the oversight of special lines of work proved a great blessing to the church. These officers gave careful consideration to individual needs as well as to the general financial interests of the church, and by their prudent management and their godly example they were an important aid to their fellow officers in binding together the various interests of the church into a united whole.”—AA 89. 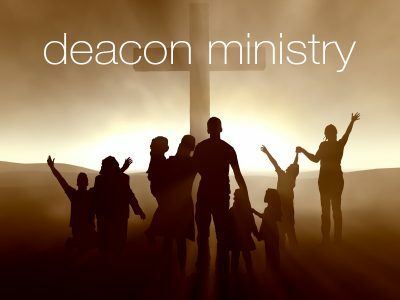 Today appointment of deacons through election brings similar blessings in church administration by relieving pastors, elders, and other officers of duties that deacons may perform well. “The time and strength of those who in the providence of God have been placed in leading positions of responsibility in the church should be spent in dealing with the weightier matters demanding special wisdom and largeness of heart. It is not in the order of God that such men should be appealed to for the adjustment of minor matters that others are well qualified to handle.”—AA 93.